Another weekend is here and that means its time to check out some of the new games that hit the Android and iOS platform this week. The games we picked up this week include an episodic point and click adventure, a couple of combat games, an adventure puzzle and an endless runner. Excepting for a couple of games, the rest are a bit pricey, but I’d say they are well worth the money. Do check them out and let us know if you enjoyed them. These last two months have felt like two long years, but the good news is that episode two of the awesome point and click adventure game from Telltale Games has finally arrived on the iOS platform. The story continues from where it left off in Faith and in this episode you get more powerful villains, stronger storylines and a better understanding of the game character. You can unlock episode 2 for $4.99. 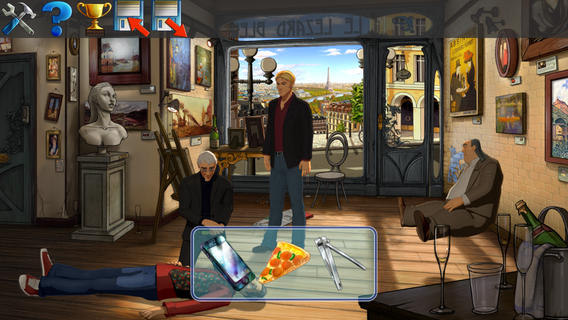 Adventure puzzle game Broken Sword 5 – the Serpent’s Curse is episode one of a two part game series. A gripping storyline sees you following the trail of a stolen painting that involves murder and a conspiracy that may involve the Devil himself. If you like to use your logic in solving adventure puzzles you should check out this game available right no on the iOS platform for $4.99. The History Channels’ program The Great Martian War takes a stroll onto Android as an endless runner. The year is 1913 and the martians have finally invaded the earth. You take on the role of a soldier who must run through a world war one type environment, take on the frightfully strong martian warrior machines and save the planet. 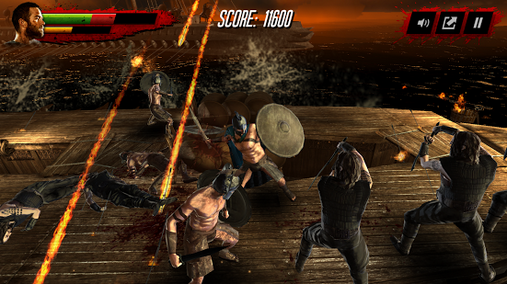 Although the game is free to play there are plenty of IAPs to tempt or bother you while playing. Take your pick from any of these awesome games and have a great time playing them.